Through numerous years of living, working and traveling throughout the Dominican Republic, we created the first Guide to Santo Domingo. 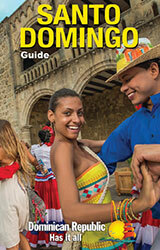 Now the official Santo Domingo Guide, sanctioned and distributed by the Dominican Ministry of Tourism. The guide has since blossomed to include the Punta Cana, Puerto Plata, Samana, La Romana/ Bayahibe and Barahona areas of the Dominican Republic. After years of photographing, studying and writing about everything the Dominican Republic has to offer, we began by developing an indispensable reference to Santo Domingo for tourists. Our expert knowledge of not only the popular historical attractions but also the genuine restaurants, night life spots and little "holes in the wall", only known to Dominicans, had us promote this guide as "The tourist guide that treats you like a local." With background support from the Dominican Ministry of Tourism throughout the guide's first 40,000 copies, the Ministry then decided to place their official stamp on the cover, converting its pages into the official guide to Santo Domingo. 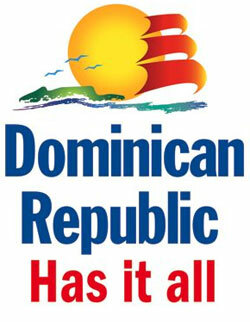 Official guides for the rest of the Dominican Republic's tourist region's have followed. Our images and content have been used by the Ministry of Tourism to promote numerous destinations in the Dominican Republic and our expert knowledge has been called upon to market Dominican travel to its fullest. We've worked closely with not only the government but also USAID funded cluster organizations that focus their efforts on promoting each of their respective regions, of the Dominican Republic, to the world.